HTC has launched its latest smartphone in its Desire series called the HTC Desire C. The smartphone comes with Beats Audio technology and is mid-budgeted Android smartphone. The smartphone runs on Android 4.0 Ice Cream Sandwich and has the HTC Sense 4.0 on top. It has 3.5 inch HVGA display with a 320 x 480 pixels resolution. Other features include 600MHz Qualcomm Snapdragon processor, 512MB RAM, 4GB of internal memory which can be expanded to 32GB via MicroSD card, Wi-Fi, Bluetooth 4.0 and 5 MP camera at the back. There will also be an NFC version which will be available later on. HTC is also offering Dropbox cloud storage of 25GB so that you can backup and store all your media and data on the go. 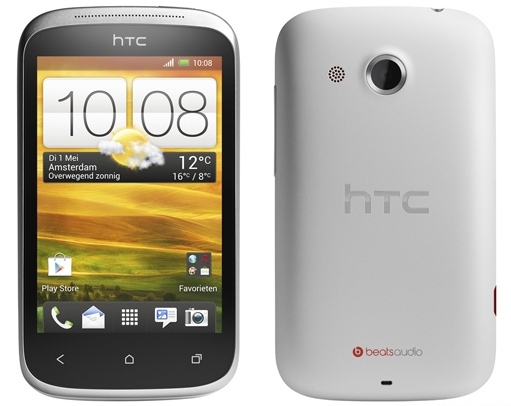 Available in red, white and black the HTC Desire C is priced at Rs 14,999.